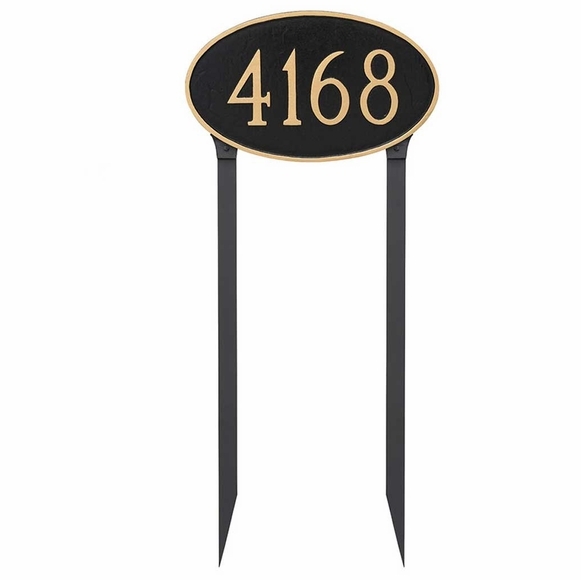 House Address Sign - - personalized large lawn mount house address plaque. 10.5" x 18" home identification sign holds one or two lines of your custom text. Made in USA. The one-line version holds up to five 4" characters. The two-line version holds up to five 4" characters on line 1 and up to 17 characters on line 2. Comes with two 24" lawn stakes.